We’re happy to see fellow AGO member Paul Jordon finally fit for duty after two unfortunate accidents – a slip on the ice last winter and that horrible collision between two trains on the Metro North line. 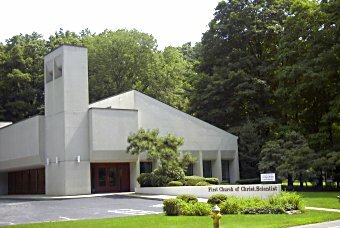 Paul will be presenting his first concert at First Church of Christ, Scientist, Westport, CT, where he is organist. This concert is a celebration of the church’s new Allen organ and includes critically acclaimed soloist Jennifer Foster, Xilin Feng, violinist (Paul’s wife) and Tim Will, a recent Juilliard graduate, will play baroque trumpet. The program will feature music by Bach, Telemann, Handel, and the world premiere of a new composition by Paul Jordan for organ and soprano solo, with trumpet (and timpani). The work is dedicated to and will be performed by Jennifer Foster and the audience will participate in the concluding section of the piece. A reception in the lobby will follow the concert. No tickets are required. Ample parking will be available at the church located at 55 Compo Rd South, just off the Post Road in Westport, Connecticut. Click here for directions to the church.